Black Rot on butternut squash. 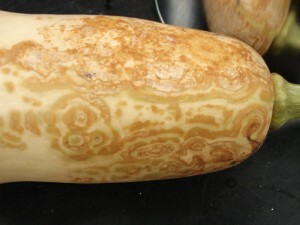 Note the distinctive lesion pattern. 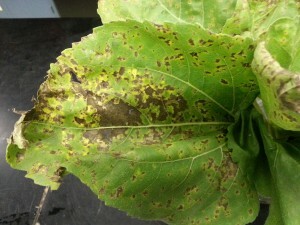 Downy mildew on turnip leaves. 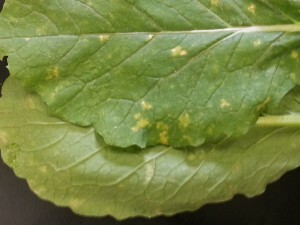 Note non-descript chlorotic lesions developing on top side of infected leaves. Under ideal conditions tufts on white sporangia will develop on underside.